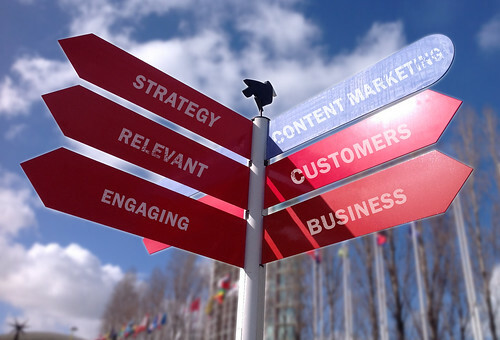 No content marketing strategy is complete with blog posts alone. As you solidify your company’s approach to content marketing, you’ll find that you need a variety of content types to create a cohesive plan. Learn why all businesses should create white papers and how this expert-level material completes a comprehensive content marketing strategy. White papers offer your business a unique opportunity to connect with potential clients. Unlike short-form content like blog posts, long-form white papers are designed to educate and inform your client base. As expert-level pieces of content, white papers give your business the space to establish itself as a trustworthy authority. Share new insights and credible data as you address client concerns and needs, and you can position yourself as a reliable source to a new market. While white papers aren’t direct sales tools, they do help gauge client interest and generate potential leads. You can create white papers to track shares and downloads to monitor interest, and capture contact information from readers. From there, you can help potential customers take action and move on to the next decision-making step in the purchasing process. Do you have a white paper idea? As a type of content that increasingly appeals to businesses, white papers have become one of the most common tools to help business-to-business (B2B) companies make buying decisions. In fact, more than 50 percent of B2B buyers use white papers to make purchasing decisions, and over two-thirds of marketers consider white papers to be key components in content marketing strategy. You will, too, once you see how white papers impact your clients. In a world where marketing is everywhere, sales pitches are omnipresent, and content is bite-sized, white papers offer something entirely different. Rather than bombarding readers with sales pitches, create white papers to offer thought-provoking analyses of new data, answer frequently asked questions, and help readers gain a better understanding of an in-depth topic. Readers who consume them early in the purchasing decision process tend to gain the most value, as they seek industry context, points of comparison, and an authoritative voice. Ultimately, great white papers help readers educate themselves about a topic that’s important for business. When done right, this premium content will play an active role in the purchasing process and encourage clients to trust your brand and your scope of knowledge. As high-level pieces of content, white papers demand much more than just run-of-the-mill execution. Instead, they require careful research, strong writing, and professional editing. Start by framing your white paper with a unique perspective. Remember that education is one of the primary purposes of this type of content, but that doesn’t mean you should err on the side of simplicity. Because your readers can find basic information on your field almost anywhere, approach your topic from a viewpoint they won’t find elsewhere. Not only will this help your white paper stand out from the pack, but it can also give your brand extra clout. When it comes to writing and editing, it’s in your best interest to leave these tasks to professionals so your content truly shines. If you don’t have a writer and an editor on your team, don’t hesitate to outsource this important step. Contract a writer with industry experience or a content production company that excels at creating white papers to give the project a professional sheen. In addition to great writing, the best white papers include interactive elements. Include hyperlinks to direct readers to data and related content on your website. Incorporate videos or interactive infographics that invite readers to delve deeper into the topic at hand. As you go through each step of the process, from ideation to research to writing to editing, don’t forget that the best white papers don’t have overly salesy tones. Rather than directly selling to readers, focus your white paper on building your company’s trustworthiness, anticipating client questions, and sharing your informed ideas about the future of your industry. Even the best white paper won’t reach your ideal audience without a marketing plan. Begin the project with a promotion plan in place so you can hit the ground running as soon as it’s complete. To give your white paper the spotlight it deserves, create a landing page where interested clients can download it. Like most landing pages, this can be relatively simple. Include marketing copy that’s optimized for search engines, and work in a clear call to action that invites readers to download the content. Because white papers are ideal for generating leads, you’ll need to incorporate a tool for gathering potential client information right on the landing page. Require readers to enter their names and email addresses prior to download, and funnel them into your automated marketing workflow. Don’t forget to A/B test the landing page to make sure it functions the way you intend, and edit as necessary to generate the maximum number of leads. From blog posts to syndication to social media, you can distribute your white paper through a number of effective channels. Develop a series of blog posts that highlight your white paper and appeal to various marketing personas. Reach out to influencers in your field, and ask them to share your white paper with their audience, or go the syndication route and distribute it through major channels in your industry. You should also share your landing page and relevant blog posts about your white paper through your social channels. Promote it via Facebook and Twitter, and feature it prominently on LinkedIn, especially if you’re a B2B company. Try publishing a short passage on LinkedIn Publisher, and direct readers to download the complete white paper on your landing page. Don’t sell your business short by leaving expert-level material out of your content marketing approach. Create white papers to highlight your company’s expertise, share your knowledge, and help your clients make informed decisions about your business’s products and services. Beautiful and informative ebooks that help drive conversions are CopyPress’ specialty. Find out how we can help fill your CRM with content that will empower your sales team. Contact us today!